In April 2010, Theater Wit moved into a new home at on Belmont Ave. The facility, which already housed three performance spaces, previously belonged to the Bailiwick Repertory Theater (which was dissolved in 2009*). Last weekend, to help welcome their incredible new space into the world, Artistic Director Jeremy Wechsler and the Wit team hosted the Chicago Theater (anti-) Conference, a three-day gathering of Chicago artists designed to foster communication, growth, and learning in the Chicago theatre community. A few friends and I decided to attend the Conference, even though it was geared mostly towards Artistic Directors, Directors, and Producers. At $32 for the entire weekend, and with an incredible line-up of speakers, it was well worth it to soak up as much knowledge as possible. Besides, knowing how to make your own opportunities is an invaluable skill, right? That, and they provided free lunch and coffee throughout the weekend (That said, I’m surprised more actors didn’t attend!). I can tell you that, even though I spent plenty of time in the old Bailiwick over the years, I didn’t recognize the place when I walked through the front doors. Jeremy did an incredible job renovating the entire facility, down to the very structure and layout of the interior. The twin mainstage theatres are remarkable in their beauty and their functionality, and the versatility of the blackbox stage lets your imagination run wild with possibilities. The panelists for the weekend included Goodman Theatre‘s Henry Godinez and the Artistic Director of Steppenwolf Theatre Matha Lavey. Discussions were held on just about every topic, ranging from festival organization to marketing to fund-raising to you name it. I could write a blog post for each discussion I attended, and it would be packed with all of the wonderful knowledge (and some horrifying truths) I learned over the course of each meeting. I don’t know whether or not Theater Wit will be hosting the CTAC again next year, but I encourage you to attend either way! The experience is absolutely priceless if you’re committed to life as an actor. You’ll get first-hand information from people who’ve “been there,” and it’s a great way to shake some of the hands with which you’ll soon be working! *After Bailiwick Repertory Theater closed its doors in September 2009, a new theatre company, Bailiwick Chicago, was formed by a group of dedicated actors, directors, and production professionals. 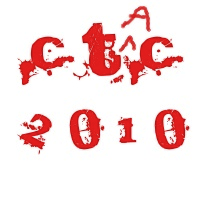 PS – I first heard about the CTAC in a recent episode of the Talk Theater in Chicago Podcast. It’s a great resource if you’re interested in acting in Chicago!